A sustainable vegetable garden means one that can be sustained over time, and would always involve I) growing food you want to eat, so you are motivated to keep on growing, II) growing economically, so it is worthwhile doing, as well as III) taking care of environmental issues, so the earth will continue to support growing. I) The crops to be grown should be chosen primarily on what your family wants to eat, and what is going to grow on your locale. Following that, look at using heirloom seed as opposed to hybrid, if you’re extremely concerned about losing the ability to substitute seed each year from commercial sources. However, saving and growing your own seed is hard and time consuming. An excellent reply to this issue is the Garden In A Can heirloom seed provided by Mountain Valley Seed Company (Rat droppings). Other seed companies might have something similar. I suggest that you buy a can of the triple-sealed seed, keep it against the potential catastrophe, and then buy and use the very best seed you can buy and don’t worry about trying to grow for and save your own seeds. 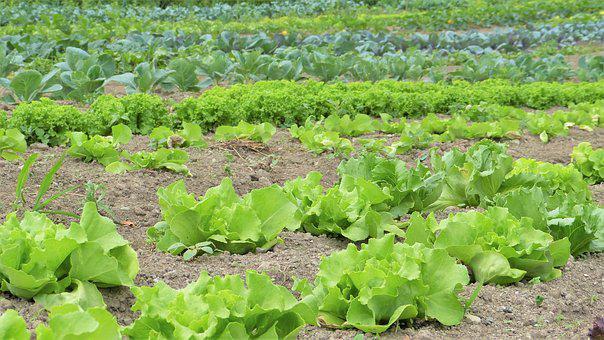 II) Using the best growing practices, such as those taught by the world-renowned Dr. J. R. Mittleider, (see http://www.growfood.com)assure you the best yield of healthy vegetables from the least distance, and with the least amount of labor and financial inputs per unit of production. A family could be self sufficient in their food requirements from appropriate gardening of just a small portion of an acre, and this is the greatest evidence of success in achieving a sustainable garden. III) Gardening should always be done without damaging the land, but instead should improve the land, so it will continue to support healthy plants indefinitely. Therefore, pesticides and herbicides should be used very judiciously, and where possible these issues should be managed by cultural practices as taught by Dr. Mittleider for example 1) removing all weeds in the garden area, 2) watering just the plants’ root zone, 3) beginning plants in a protected environment for a fast, healthy and robust start, 4) feeding plants appropriate quantities of balanced natural mineral nutrients to guarantee fast and healthy development, 5) harvesting all plants in maturity to avoid allowing pests and diseases to multiply, and 6) discarding any insect or disease infested plant parts from the garden, and incorporating healthy plant components into the soil to improve soil structure.